Talk about a bad location for a sinkhole to happen. 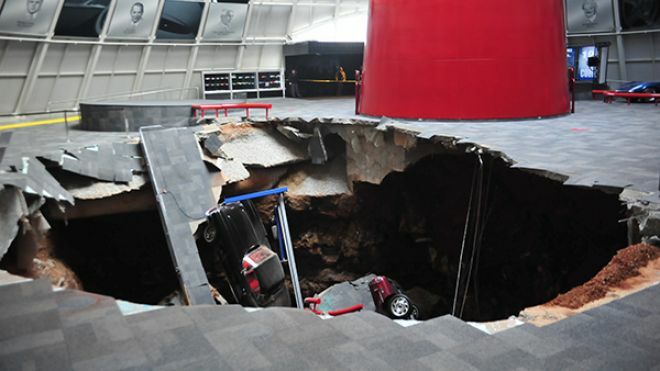 A huge sinkhole opened up at the National Corvette Museum in Kentucky and swallowed at least eight cars. 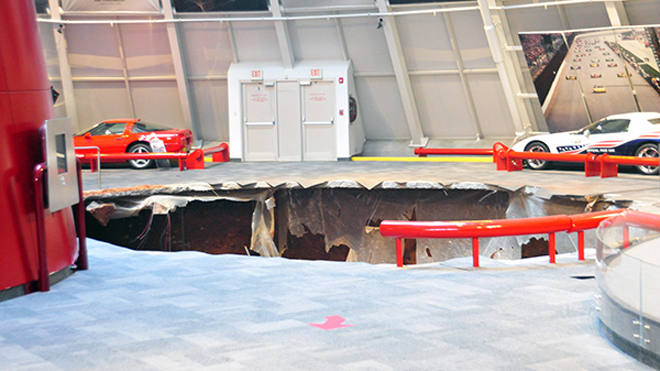 The Corvette museum says the sink hole is around 25-30 feet deep and 40 feet wide. “It is with heavy hearts that we report that eight Corvettes were affected by this incident,” the museum said in a press release. The museum said the cars are a 1993 ZR-1 Spyder and 2009 ZR1 “Blue Devil” on loan from General Motors; a 1962 Black Corvette; 1984 PPG Pace Car; 1992 White 1 Millionth Corvette; 1993 Ruby Red 40th Anniversary Corvette; 2001 Mallett Hammer Z06 Corvette and a 2009 White 1.5 Millionth Corvette. I guess it could have been worse, at least no people were harmed from this sinkhole. This reminds me of this sinkhole that opens up under a railroad track. 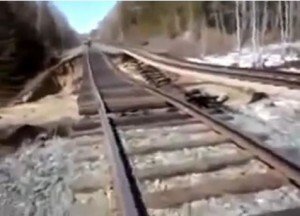 The man catching the footage shakes as he sees an entire portion of land disappear under the railroad! Check out the YouTube video below.